Singa Bdr Tamang was born in a traditional mountain village in the Solukhumbu district Juke-08 of Nepal, close to the Mount Everest region and home to the Sherpa and Tamang people. He began his career as a porter on Trekking and Expeditions to Mount Everest Region/Annapurna region/ Lantang/Mustang and Other areas of Nepal. 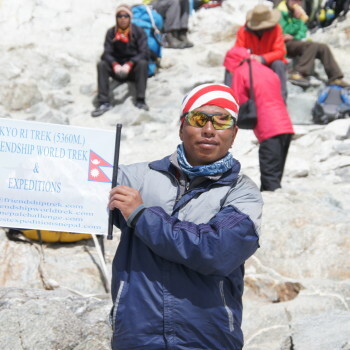 He has got 10 years experience in trekking field in several Himalayan regions of Nepal. 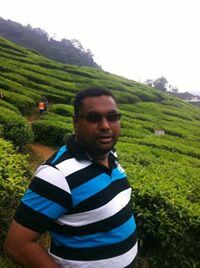 He always thinks to give good Knowledge about the trekking. Annapurna base camp trek is famous for trekkers. The principal peaks of the western portion of the great Annapurna Himal, including Hiunchuli, Annapurna South, Fang, Annapurna, Ganagapurna, Annapurna 3 and Machhapuchhare, are arranged almost precisely in a circle about 10 miles in diameter with a deep glacier-covered amphitheater at the center. From this glacier basin, known as the Annapurna Sanctuary, the Modi Khola knifes its way south in a narrow gorge fully 12,000 ft. deep. Further south, the gorge opens up into a wide and fertile valley, the domain of the Gurungs. The middle and upper portions of Modi Khola offer some of the best short trekking routes in Nepal, and the valley is located so that these treks can be easily combined with treks into the Kali Gandaki region to the west. I would like to trek Annapurna Base camp, single person. Please let me know the cost and itinerary.